A federal judge has ruled against a federal ban on female genital mutilation despite calling the practice “despicable” in a stunning ruling Tuesday. Female genital mutilation is a religious practice carried out in many majority Muslim countries, although the Koran does not specifically command the operation. However it is condoned by Muhammed, and some scholars say ordered, in a Hadith, a separate part of Islamic scripture. District Judge Bernard Friedman said that “as despicable as this practice may be,” Congress had overstepped its constitutional power in banning the operation, and said regulation should be left up to the states instead. “As laudable as the prohibition of a particular type of abuse of girls may be, it does not logically further the goal of protecting children on a nondiscriminatory basis,” Friedman wrote in his decision. He also dismissed federal charges of conspiring to commit and committing female genital mutilation against a doctor and others from Detroit, Michigan, who were accused of inflicting the practice on seven children. The case was the first test of the federal ban on female genital mutilation. The defendants in the case still face other charges despite Judge Friedman dismissing those having to do with FGM. “He wrote a well-reasoned opinion and we are happy to see that his conclusion about the constitutionality of the law matched our analysis as well,” a lawyer for the defendants said in a statement. “My client is ecstatic, but she’s still nervous because she still faces other charges in federal court,” she added. 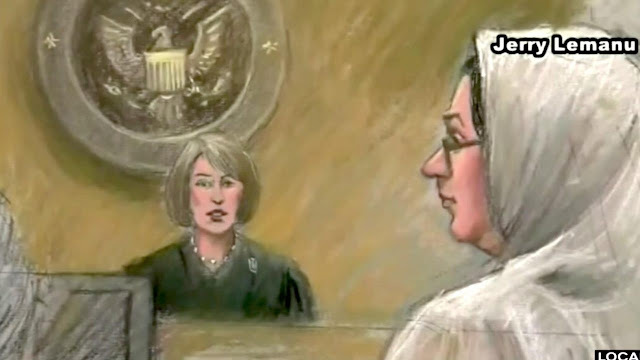 The attorney argued in court that the practice was a “benign religious ceremony.” Her clients are a part of an Indian sect of Islam called Dawoodi Bohra. Human Rights activist and former Muslim Ayan Hirsi Ali decried the ruling from her social media account Tuesday. Female genital mutilation has been condemned by the World Health Organization as a human rights violation.